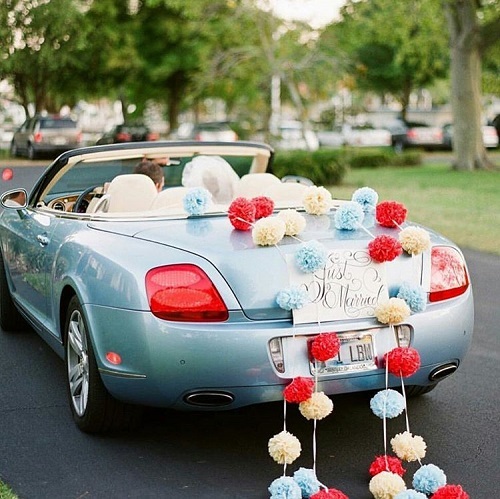 Aren’t you bored of seeing the shaadi ki gaadi decked up in the usual strings of flowers? We sure are! 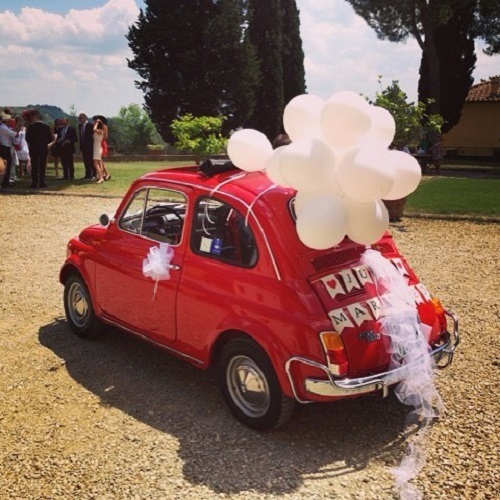 And in this post we want to make sure that when you get married, your wedding going away car is anything but the usual. 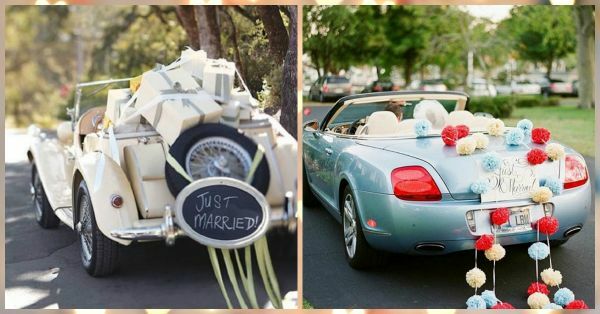 So share this one with your hubby-to-be or the bestie who always makes sure you get what you want because these ‘Just Married’ cars are super adorable! Make some noise as you drive away just like we’ve seen so many times in the movies. 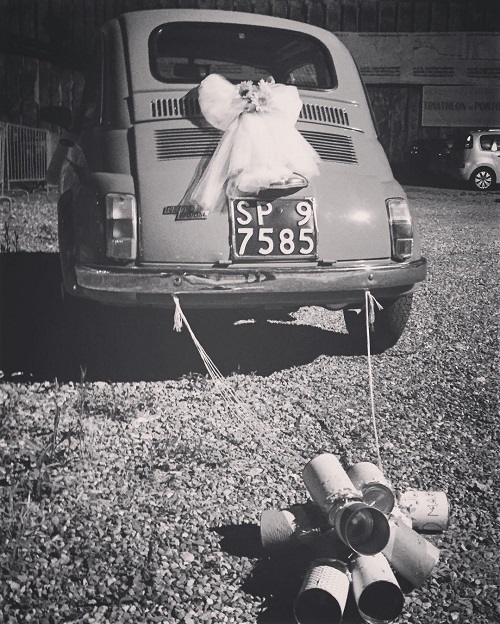 Tie on a bunch of old cans to the back of your car. Use cola cans, do them up with colour papers and use ribbons to tie them on. 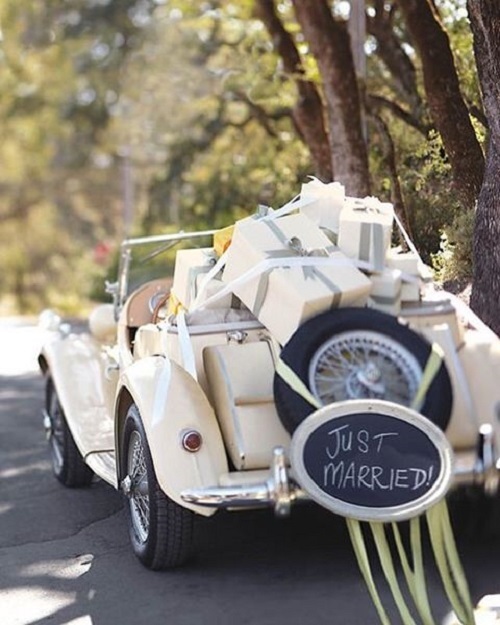 A ‘Just Married’ banner is the perfect add-on! Metallic gold alphabet balloons and colourful tassel pom-poms give the most festive feel ever! 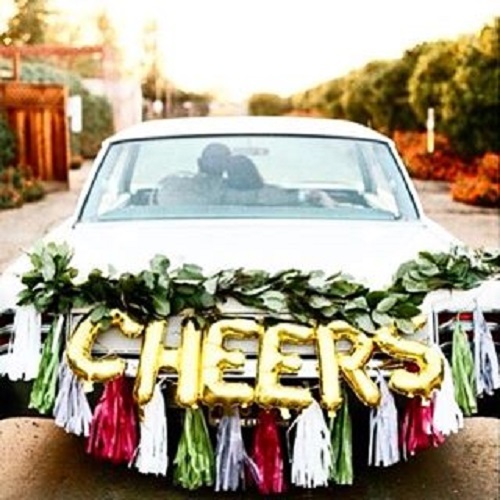 You could have your initials, ‘Newlyweds’ or ‘Cheers’ on a banner strung across your car and drive away to your new home in style! Image: The Maharani Diaries on Instagram HAVE A STORY IDEA FOR POPxo? If you want to hear about it, we can write about it! Just tell us your idea here! 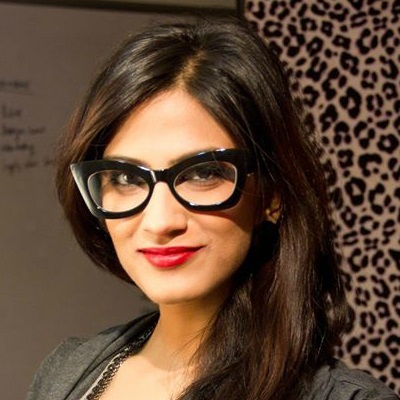 MUST-READ: 6 Pretty Ways To Decorate The Entrance Of Your Shaadi Venue! 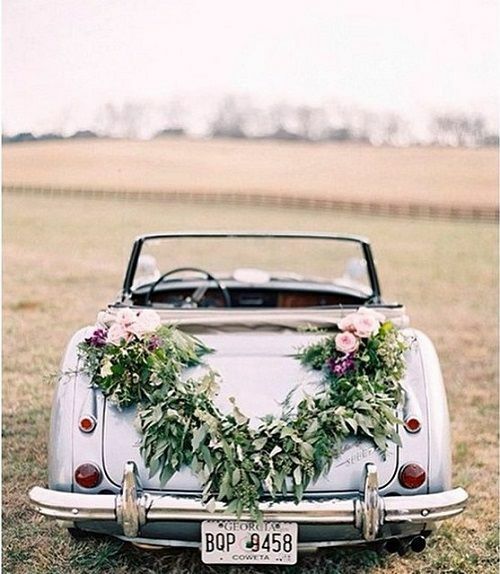 MUST-READ: Floral Decor Ideas You’d LOVE For Your Wedding!